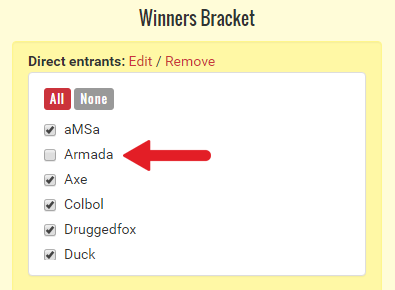 Why are one of my attendees not showing up in the bracket? The attendee isn't registered. 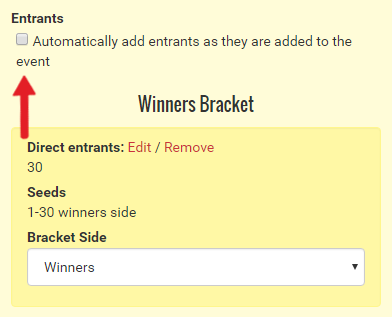 Go to the Attendees tab in smash.gg admin and confirm if the attendee is registered. 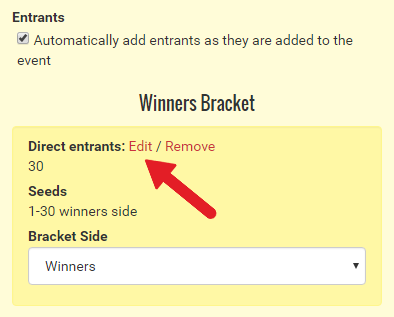 The "Automatically add entrants as they are added to the event" box wasn't checked when the attendee registered. Make sure this box is checked in the phase you want attendees to be automatically entered into. The phase wasn't specified when the entrant was added. Make sure the correct phase is selected when adding an attendee using Bulk Add or the Add Attendee button.